The Vuelta is well known for its difficult mountain arrivals. We will take a look at this year’s passes. The steep slopes that snake the peaks of the mountain range of Malaga crowned the Colombian rider, Esteban Chaves, in 2015 who not only won the stage, but also brought La Roja. It will be the first arrival at high altitude for La Vuelta 2018. The finish will allow a climber to win the stage, as did Esteban Chaves in 2015. Regarding the general classification, there will be no major differences and the pack may well go until the start of the race. last pass of this step. 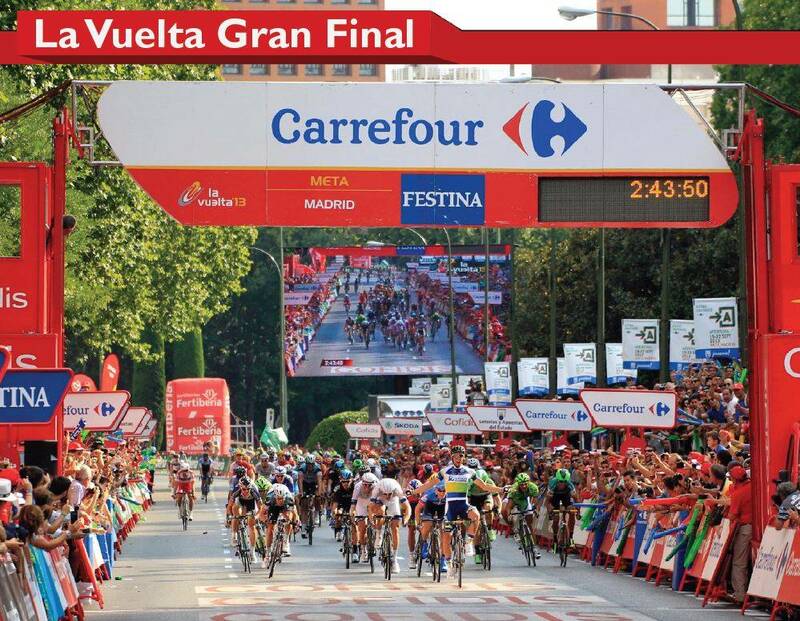 This year, the town of Alfacar in Granada welcomes for the first time an arrival of the Vuelta. At first glance, Alfacar does not seem very difficult, but it will make more difference in the overall standings than Caminito del Rey. The most demanding riders will have to pay particular attention during this stage, as the climb is likely to crush one or more favorites. Marino Lejarreta, Perico Delgado, Lucho Herrera, Laurent Jalabert, Pavel Tonkov and Nairo Quintana … all have, at one time or another, climbed the windy and endless slopes of the Lagos de Covadonga and know what it is to win when we reach the summit. The Asturian finish line is synonymous with combat, suffering and top-level cycling performance. This stage has one of the most difficult profiles for the La Vuelta 2018 peloton, with a cumulative elevation gain of more than 4000 meters. The stage ends on one of the most iconic cycling finish lines in the country. The Covadonga Lakes will determine which group wins the race after climbing the Fito viewpoint twice. The peloton returns to Castilla y León to face his old acquaintance: Alto de La Camperona, in the Sabero Valley, which will host La Vuelta for the third time. This mountain pass allowed Nairo Quintana to wear the red jersey in 2016, the year he won La Vuelta. Similarly with Alberto Contador in 2014, who also won La Roja in this extremely difficult climb, before taking the highest podium spot in Santiago de Compostela, after his third victory at La Vuelta. This will be an unprecedented arrival for La Vuelta, during which runners will attempt to stick to the Nava definition, which literally means « flat land between mountains ». Once again, the winding terrain will favor breakaways, which will make teams work to protect their leaders. The stage will end at Praeres de Nava, a very demanding mountain pass, with slopes of up to 15%. Few territories can compete with the passion of the Basque Country for cycling with thousands of fans lining the roads. This year, the stage will take the form of an unprecedented climb of the Vuelta: the Balcony of Vizcaya, jewel of the village of Berriz, at Mount Oiz. Riders must overcome more than 3,000 meters of climbing, with an explosive finish line in Mount Oiz and slopes of up to 17% and 18%. More than 7 kilometers, with an average slope of 8% and slopes of up to 15%. This is how three weeks of competition will end for the peloton. The Gallina Pass, an Andorran mountain pass that has already been climbed three times in the history of the Spanish Vuelta, will be the decisive stage that will determine who will win the right to wear La Roja at the final celebration in Madrid.